Remedeine tablets contain the two active ingredients paracetamol and dihydrocodeine tartrate. Two types of Remedeine tablets are available from our pharmacy, Remedeine 20/500mg and Remedeine Forte 30/500mg. What is Remedeine and what does it do? The main difference between the two medicines is the strength. Remedeine Forte contains 30mg of dihydrocodeine, while Remedeine contains 20mg. If you are unsure of which strength to choose, consult your GP before ordering. What is Remedeine and Remedeine Forte used for? Remedeine and Remedeine Forte may be prescribed to relieve different types of moderate to severe pain, such as period pain, nerve pain and headache. You should always consult your pharmacist or own GP before use if you are unsure of which painkiller to choose. When are Remedeine tablets prescribed? Remedeine and Remedeine Forte may be prescribed to help you manage temporary or short term moderate to severe pain. Long term use of Remedeine should be avoided as it may lead to tolerance and dependence. Long term use may also make pain such as headache worse. 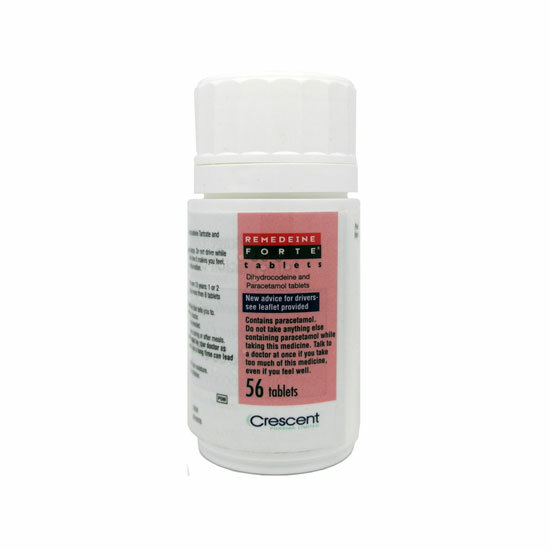 Remedeine Forte 30/500mg is primarily prescribed if Remedeine 20/500mg, or other types of pain relief, such as paracetamol or ibuprofen, have not provided enough relief. Is Remedeine suitable for my condition? Remedeine and Remedeine Forte may be suitable for your condition if you have previously been prescribed this medicine and used it with little or no side effects as the result. When you request to order this medicine, you will be prompted to fill in an online medical questionnaire. The questionnaire will then be reviewed by our doctors to ensure your chosen medicine is safe and suitable for you to use. If you are allergic or sensitive to paracetamol, dihydrocodeine or any of the other ingredients mentioned in the patient information leaflet. If you have any breathing difficulties or obstructive airways disease. If you have recently had a head injury. What is the recommended dosage of Remedeine? Always follow the doctor’s instructions on how to use this medicine. The doses outlined below is for your reference only. Swallow the tablets whole with a glass of water, with or straight after a meal. Take 1 or 2 tablets every four to six hours. Do not exceed 8 tablets in any 24 hour period. Do Remedeine tablets cause any side effects? Yes, Remedeine may cause side effects in some users. All medicines can cause side effects, however the receptiveness varies from person to person. Drowsiness - do not drive or operate machinery if you feel drowsy after taking Remedeine. Yes, you can reduce the risk of getting side effects by letting our doctors know about any other medicines you may take, as well as any other health conditions you may have. This will help you avoid side effects caused by contraindications. It is also important to not drink alcohol while taking Remedeine and Remedeine Forte as alcohol may increase the risk of side effects. How do I buy Remedeine tablets online? To legally and safely buy Remedeine tablets online in the UK you need a prescription from a registered doctor. Doctor-4-U offers you the convenience to order your medicine from the comfort of your own home by filling in an online medical questionnaire. Once you have submitted the questionnaire, it will be assessed by one of our registered and experienced doctors. If suitable, the doctor will accept your request and a private online prescription will be issued. 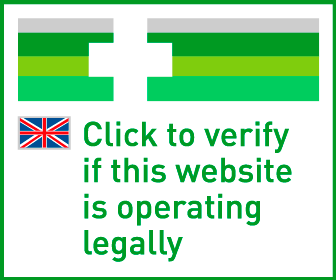 Your medicine will then be dispensed by our UK pharmacy and sent by tracked delivery in plain packaging to your address. Your medicine is usually dispatched within 24 hours after ordering. If the doctor deems your requested medicine as unsuitable for your condition, you will be issued a full refund and you will not be charged for the order or consultation. Take ONE up to FOUR times daily. DO NOT take more than SIX in 24 hours. DO NOT take with other opioid or paracetamol medicines. CAUTION: Can lead to ADDICTION if misused.